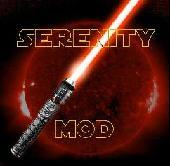 Serenity saver system v4 2009 for standard base jedi academy - 13 March 2009 - Jedi academy Mods: By Serenity. some sabers have different moves and blocking abilitys.most sabers will kill with one hit. holding block alone will activate auto block at a cost of force points. holding block and direction key is more difficult against projectiles, i.e blaster shots.however far more effective against saberswings. both blocking and dodge are availible with time and practice you should be able to do both at will. NPC,S Now also have a better ability to block giving balance to saber battles. Saber animations have been slightly slowed down for better human reaction time and accuracy,giving better balance to saber duels. inability to move and block .if this happens type hulpusobi 0 or mouse3 is also binded to helpusobi 0 and saberattackcycle. Anybody may use this mod......:)credit would be nice but not essential.